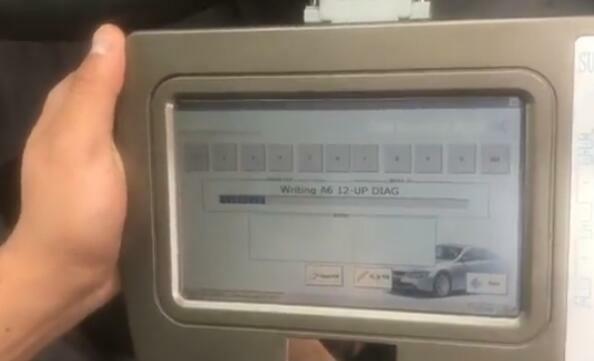 DSP III is the most complete programming device for digital odometers, It is a high-quality embeded system, which offers a maximum of flexibility and working comfort. 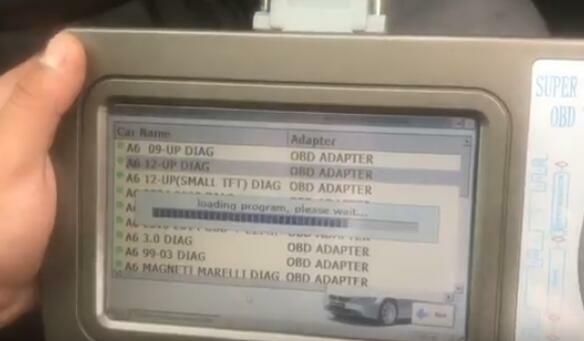 Follow is 2013 Audi A6 Mileage Odometer Correction COMPLETE OBD by DSP III. 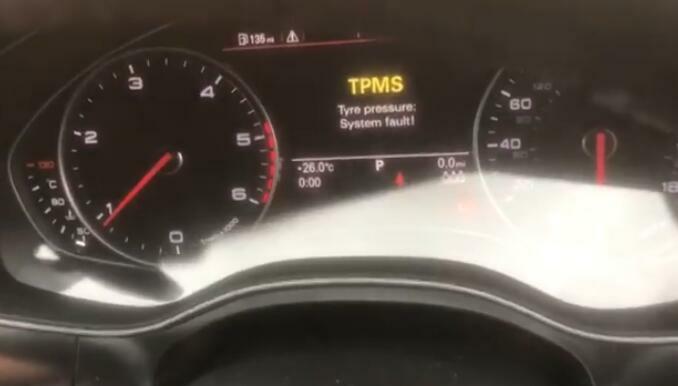 Mileage change from 75457 to 60233. 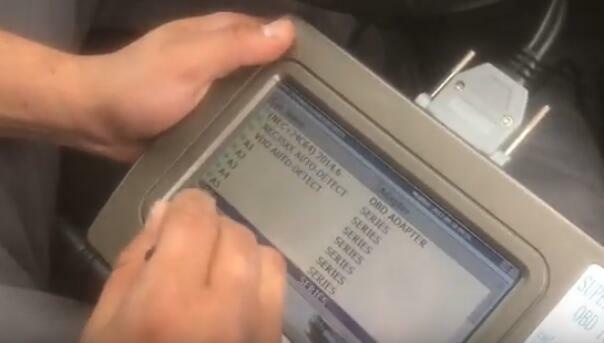 The Data Specialist Plus is the most complete programming DSP 3 for digital odometers, airbag modules, car radios, car immobilizers. 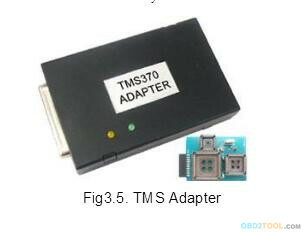 It is a high quality embedded system, which offers a maximum of flexibility and working comfort. 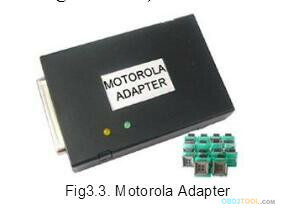 -Based on ARM920 TDI, high frequency up to 400 MHz. 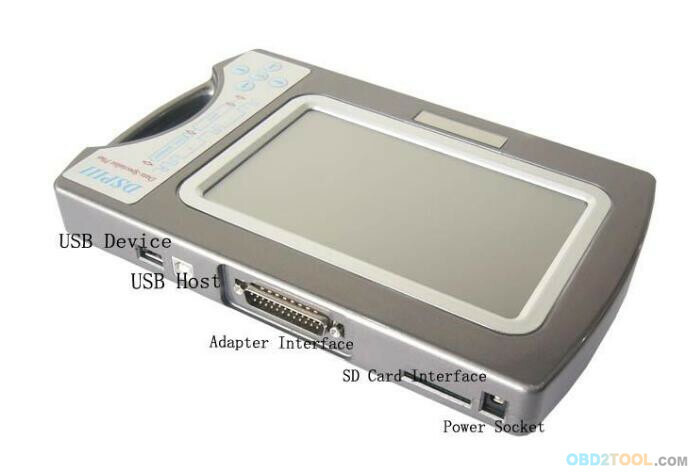 -800^480 TFT LCD and touch screen (7.0 inch.16:9). -USB host and USB device. 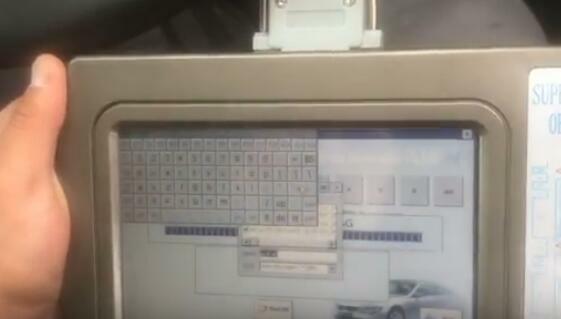 -Self-check function integrated in system. 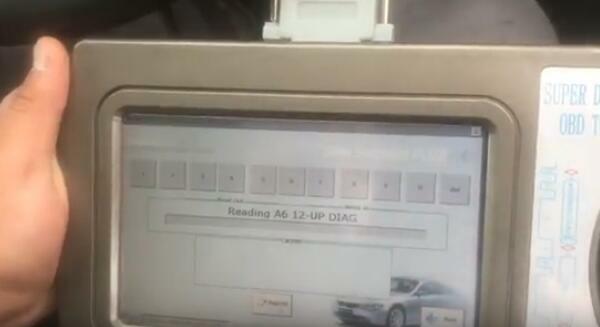 -Automatic calculation of mileage or km for al cars. 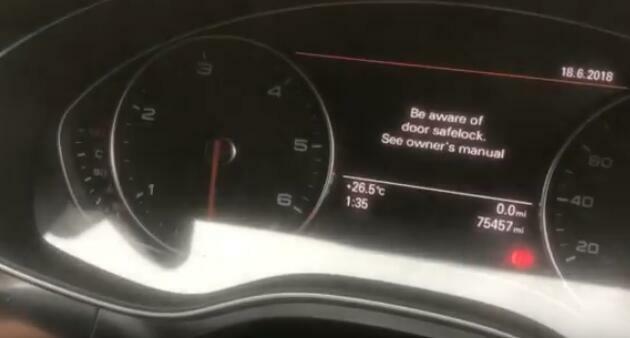 -Automatic reset of airbag module. 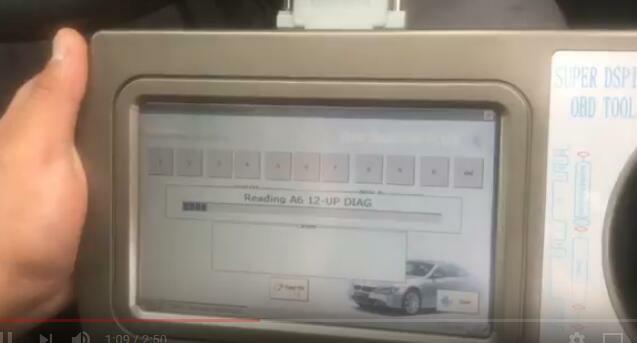 -Automatic read code of IMMO or reset of IMMO ECU. 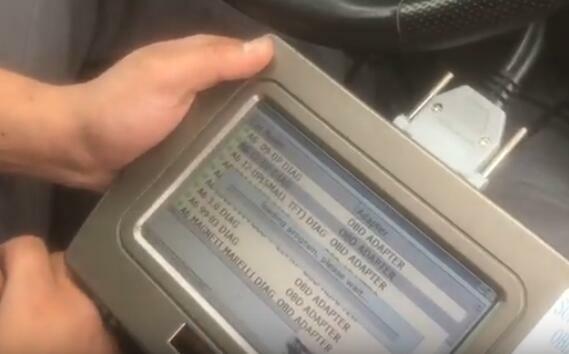 -Automatic read code or reset of car radio. -Intuitive operability by full menu and picture guidance. -Color connection picture is on the screen whenever you need. -All data can be edited, stored and loaded. -The stored data can be transferred to a PC by USB port or SD card, and also can be transfer to wherever you want directly by internet. 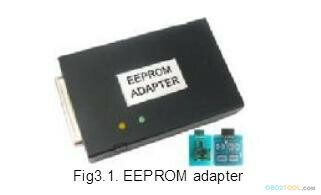 -EEPROM, EPROM and FLASH programming of MCU is supported. 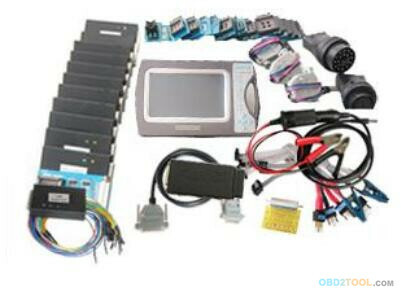 -Strong ability for OBD functions, including CAN, J1850, ISO9141, and Keyword 2000 protocols. USB-host: for connection with PC. 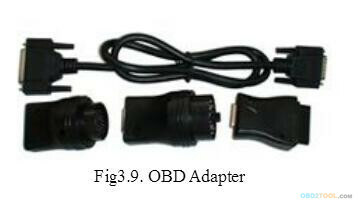 USB-device: for connection of other USB device such as mouse, etc. 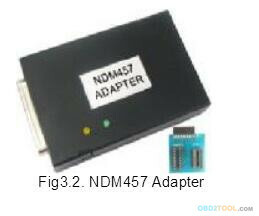 SD card interface: for connection with SD card. 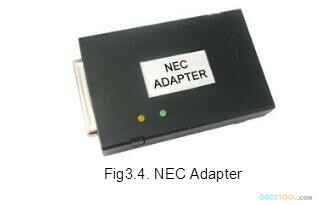 Adapter interface: for connection with adapters. Power socket: for connection with 12V DC regulator. Socket should plug into the adapter correctly, do not plug in the opposite side, otherwise will damage this machine or target board. SPI: X25043, X25045, 25C010, 25C020, 25C040, 25C080,25C160, 25C320, 25C640, 25C128, 25C256, 3132, 68343,ST14771, ST95010, ST95020, ST95040, ST95080, ST95160, ST95320,ST95640, X5043, X5045 and M35080(erase) included. 2C: 24C01, 24C01A, 24C02, 24C04, 24C0S, 24C16, 24C17, 24C32,24C64 24C12S, 24C256,005C72,005C002,005C92, BAW574252 etc. 93n006,93s46, 93S56, 93S57, 93S66, 93LC46, 93LC56, 93LC57,93Ln66, 93rn006, DY6N, LC46, L56R, SI 30, S220, etc. OTHERS: such asPDHOOl, TC97101, TCOO9101, TCOO9102, TC009112, dd59, D6253, D6254, S-24H30, S-24H45, S-24S30,S-2445, 1691 IP 59cll,ac. 6..HC05 series: MC6OOHC05B16, MC6OOHC05B32, MC6OOHC05B6, MCHC05BS, MC6OOHC05BE6, MC6OOHC05H12, MC6OOHC05L2S, MC6OOHC05P3, MC6OOHC05X16, MC6ooHC05x32,MC6ooHC705m6, MC6OOHC705B32, MC6OOHC705E6, etc. 8..HC11 series: MC600HC1 IAS, MC600HC11E20, MC600HC11E9, MC600HC11EA9, MSooHnllFl, MC600HC11K1, MC600HC11K4, MC600HC11ICS2, MC600HC11ICS00, MC600HC11KA4, MC600HC11ICP MC600HC11IA MC600HC11P2, MC600HC11PA00,MC600HC11PHS, etc. uPD780973,uPD780949, uPD78F0974,uPD78F0949, uPD78F0826, uPD78F0828, uPD78F0828A M1 etc. 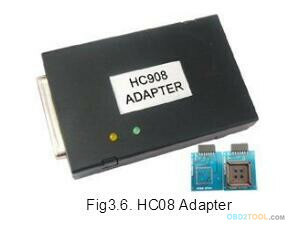 HC08 Adapter is used to program Motorola HC08 series MCU’s (with security passed). 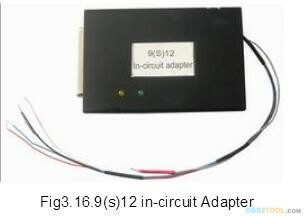 HCS12 in-circuit Adapter support mileage correction for BMW CAS/MB EZS/DASHBOARDS/MODULES/ with 912/9s12/9s12x MCU, in circuit programming ( no need removing mcu), can read/edit/write eeprom of MCU, mileage calculation integrated in soft. 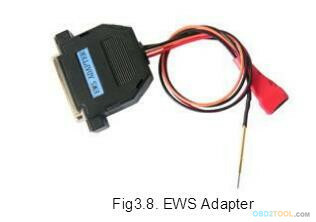 EWS Adapter is used to program EWS of E38 / E39 / E46 / E53 by K-line. 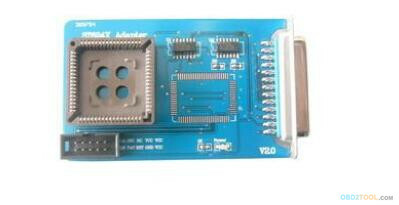 ST624X Adapter is used to program ST624X series MCU’s. 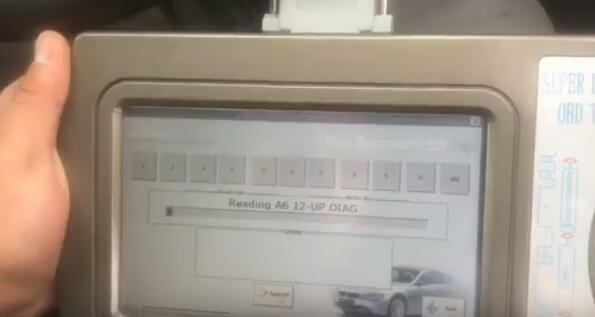 OBD adapter is used for ordinary and advanced diagnosis operations, such as programming of all BMW CAS / LCM / EWS and mileage correction of all VW series and AUDI series. 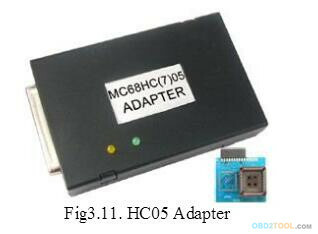 HC05 Adapter is used to program MC68HC705B16/32, MC68HC705X16/32, MC68HC05B6/8/16 /32, MC68HC05X16/32series MCU，s (with security passed). 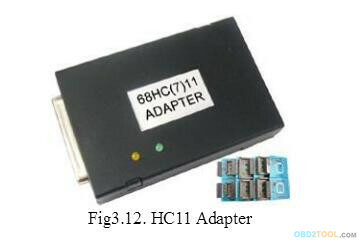 HC(7)11 Adapter is used to program MC68HC(7)11 series MCU，s (with security passed). 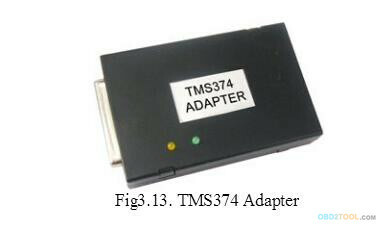 TMS374 Adapter is used to program TMS374 MCU’s and support immo function of DAEWOO, FIAT, KIA, PEUGEOT, RENAULT, etc. 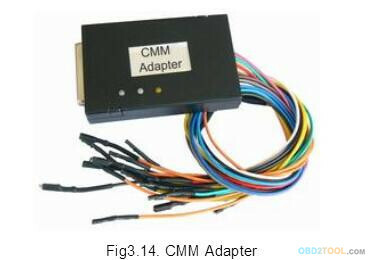 CMM Adapter support odometer correction of E36, E38, FORD FOCUS, HONDA ACCORD V6, and HONDA CRV over the plug.